Every year over 7.5 million people visit the many attractions in and around Downtown Pittsburgh - including sporting events, gambling at the Casino, shows in the Cultural District, conventions at the Convention Center, as well as the cities vast collection of museum. Over the past few years, there has been nearly a billion dollar investment in the Downtown area. The addition of the new David Lawrence Convention Center, three new Stadiums, the new Rivers Casino and further development of the Cultural District will double the number of visitors to the area - and more than double the economic impact. Property investment/development in and around these new additions to Downtown have benefited greatly due to this incredible investment in Pittsburgh. 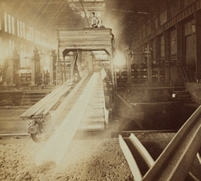 Take a few moments to learn more about these developments and their impact on Pittsburgh. What began as a vision by a group of determined government, corporate and non-profit foundation leaders became a reality in September 2003 with the opening the David L. Lawrence Convention Center. When a city offers an overall package that includes ease of transportation, affordable lodging, distinctive dining options and diverse leisure activities, everyone wants to plan their meetings, conventions, trade shows and events there. 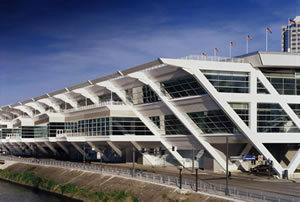 Visit David L. Lawrence Convention Center site for more detailed information on events and operations. Heinz Field isn't just a destination on game days, but throughout the year. 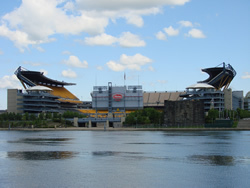 The 2009 fall schedule includes home games for the Steelers and University of Pittsburgh. Also, enjoy the taping of the McDonald's Steelers KidZone Show and the Steelers Huddle Show, which take place in the Coca-Cola Great Hall and East Club Lounge. Ground was broken August 14, 2008 for Pittsburgh’s new multi-purpose arena; the Consol Energy Center, in time for the start of the 2010-11 NHL season. 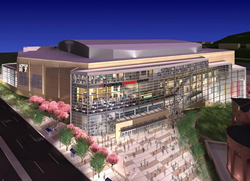 The new arena will be the home of the Pittsburgh Penguins and also host a wide range of other entertainment events, including concerts and family shows throughout the year. PNC Park's riverfront facility combines the best features of yesterday's ballparks - rhythmic archways, steel trusswork and a natural grass playing field - with the latest in fan and player amenities and spectator comfort. 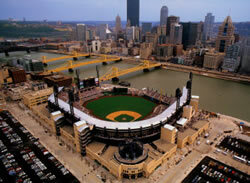 The Rivers Casino is along the North Shore, a short walk from Heinz Field and PNC Park. The Rivers Casino is open 24 hours a day, seven days a week, and features 3,000 slot machines, five first-class restaurants, entertainment, lounges and covered parking. Whether you prefer the exciting atmosphere of our gaming floor or the tranquil surroundings along our riverfront esplanade, the Rivers Casino is a premier destination for residents and visitors alike. 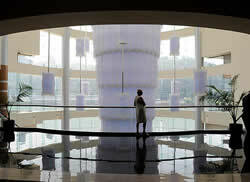 Visit The Rivers Casino site for more detailed information.